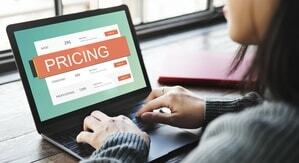 You are in: Home » Blog » How Do I Switch Merchant Services? As a business owner, it is important to work with vendors and products that help you achieve your business goals. One critical financial vendor is your merchant account provider. Merchant account providers allow a business to accept payments, specifically debit and credit cards, in order to pay for goods and services. While there are many reliable vendors to choose from, you may need to consider switching a merchant account provider. You may experience poor customer service or see higher or hidden fees. This article will provide you with information to help you determine which merchant account provider is best for you/your business as well as the basic steps to switch providers. The annual renewal: this is the cost to renew services. Timing can be key when switching merchant account providers, especially if you are paying an annual fee. In addition, if you break a contract in the middle of the contracted time, you may incur a fee for terminating the account. Some contracts have an automatic renewal, so it is important to understand the timing, or to call your merchant provider to find out when the renewal takes place to stop the process. Some contracts, on the other hand, have specific contracts with an end date, and then go to a month-to-month. Status of Point of Sale (POS) or credit card terminal: Your POS/credit card terminal(s) are either owned or leased, so check to see which status yours fits into. If they were free with the usage of the merchant provider, you will likely need to return the terminals. Interchange Fees: these fees occur for every transaction a customer makes using a credit or debit card at your store/website. 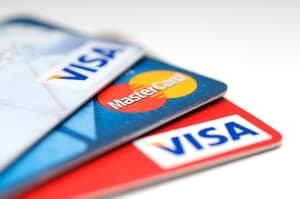 Interchange fees cover PCI compliance in many cases as well as fraudulent or erroneous transactions and are paid to the credit card association/company. Transaction Fees: these are fees paid to the merchant account provider, and they also occur for every transaction a customer makes using a credit or debit card at your store/website. 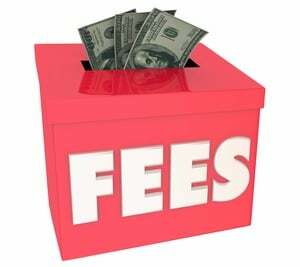 Monthly Fees: these are what are called mark up fees. For smaller volume sales, it is typical to have monthly fees paid to the merchant account provider. However, this is something you can certainly try to negotiate! In order to process payments online through an e-commerce site, you will need to use a payment gateway. Payment gateways not only determine if the credit or debit card can be accepted, many gateways provide security (PCI Compliance) and anti fraud checks. Beyond payment gateways, it might be a good idea to research Payment Service Providers (PSP’s) that are a combination of payment gateways and merchant account providers. This might be a good idea for a small business that doesn’t require a lot of online transactions. Some merchant providers are better than others when it comes to e-commerce transactions. E-commerce transactions refer to online transactions, and a business owner needs to enlist a payment gateway, shipping and shopping cart vendors in addition to a merchant account. It is important to see which services cover one or more of these different vendors, as it may be advantageous to use a streamlined system with all of the services. Merchant providers should provide options to transfer funds from your payment processing account to your bank account. You can see if the merchant provider provides next day funds (where funds are available the following day), same day funds (available the same day) or instant funding (immediate funds). Point of Sale (POS) software is essentially the cash register for your business on an online platform. POS software will record sales transactions and save it on a hardware device or on a cloud. It also provides some transaction services, reporting and calculation services for things like tax, totals and change. All purchases must be compliant with the Payment Card industry Data Security Standard, which is referred to as PCI-DSS compliance. The PCI Security Standards Council is the governing body that determines the compliance requirements and was founded by the major credit card companies including American Express, Discover, JCB International, MasterCard and Visa Inc. Merchant account providers are required to be PCI compliant in order to process, store or transmit credit card data, so it is critical that you research whether or not the merchant providers you are comparing are compliant. If you have given gift cards to customers through your older merchant account provider, you will need to ensure that you can utilize these cards with whichever new provider you move forward with. Once you have researched all of the various fees and factors that are important to you and your business, you can finally switch your merchant account provider! Most systems for e-commerce sites are designed to plug n’ play, as long as you have a bank account and a payment gateway/processor. In addition, make sure you have successfully canceled your previous merchant account, taking into account any specific contractual policies. Switching merchant account providers is not always an easy task, and requires knowledge of the current contract, timing and what your needs are as a business owner. However, you can save a lot of money by figuring out which fees you can negotiate and what services can streamline your processes to make online purchasing as easy as possible for your customers.